When life throws you challenges, learn how to adapt. After taking a plunge off of a six-foot deck, this versatile pup is learning how to get around without the use of his front paws. Who wants to write an encouraging message on one of his casts? You don’t need to be classically beautiful to be a star. Rescue cat Lazarus was born with a cleft palate. The physical deformity leaves him without the appearance of a nose and overexposes his lower teeth, but he still manages to charm thousands of fans on Vine. According to Lazarus’ official Facebook page, he was found at only 10 weeks old by a student at East Tennessee State University. Although the sickly kitten suffered an infection in his mouth, caretakers soon nursed him back to health. Scientists say two new animal species discovered off the Australian coast in 1986 have the potential to “reshape the tree of life.” A study in scientific journal PLOS ONE describes the mushroom-shaped organisms for the first time since their discovery. Although the organisms, known as Dendrogramma enigmatica and Dendrogramma discoides, resemble extinct forms from more than 600 million years ago, scientists have not classified them into an existing animal group. The photobomb is more than a quick and easy prank — it’s a work of art. They’ve also become the norm in the Insta-era. It’s hard to watch someone snapping a photo in your general vicinity without attempting to ruin it with your awkward face — even cats are getting in on gag.Cats are often considered serious creatures, but these perfectly timed photobombs reveal the funny side of their sneakiness. From running a search engine to game strategies, we all know that humans can take some notes from the animal kingdom. Here’s another lesson that wildlife can teach us: recycling. While we’re still figuring out how to recycle right, some animals have already mastered the eco-friendly practice. Click through for five of the planet’s most amazing recyclers. Malaysia’s tigers have all but disappeared, and poachers from nearby countries have pushed them to the brink of extinction, according to a new report. A four-year study of the country’s big cats—the first scientific count ever conducted—discovered far fewer tigers than previously estimated, reporting as few as 250 left in the wild. Previous estimates had the country’s tiger population between 500 and 1,500. Want to buy Temptations’ newest cat treats and throw them at your cat? Better stretch out first, man. The Mars Petcare brand just rolled out new Temptations Tumblers—treats that are apparently more perfectly spherical that regular old Temptations treats. (“Now you can roll, toss or bounce delicious treats for your cats,” the brand says.) 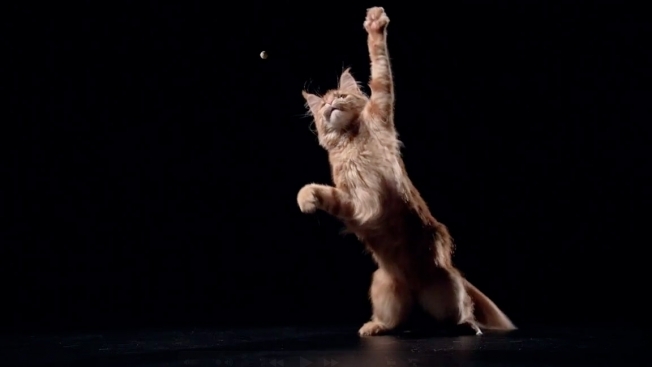 And so, in the 60-second spot below, cats “play ball” with them, Nike style, in pretty hilarious fashion. The ad will, of course, get billions of views. But really, how is there not a Tumblers Tumblr?